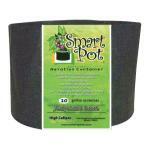 The Smart Pot brand is the originator of the fabric pot industry. 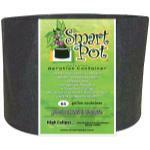 First invented in the late 1970's then incorporated in 1984 Smart Pots have grown millions of large and healthy plants. Based in Oklahoma their pots are the only line of fabric pots we offer which are made in America. 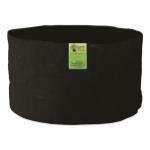 These pots are available in black or tan and come in a variety of sizes. You will notice when comparing the brands of fabric pots the Smart Pot is more costly, this is largely due to the fact they are made right here in the USA and are held to a higher standard to quality. These pots are known to last 5-10 year in direct sun. 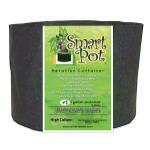 If you are in the market for grow bags rest assured Smart Pot is a brand you can trust. Have you ever heard of a “Smart” pot? Well Smart Pots have been used by commercial tree growers for numerous years. Although, now many hobby gardeners are using this great growing container for small at-home plants such as herbs. Any cook, amateur to professional, should consider starting an herb garden on their deck or patio. Close by you can have fresh ingredients for various dishes. That way, if you forget to buy thyme or basil at the store, it will be within reach. It will also add greenery to areas of your home, such as your deck or patio! Planting these herb gardens in Smart Pots is the best way to achieve a beautiful herb garden. Smart Pots will allow you to maximize the use of each container and have a wide variety of herbs. Typical hard-sided pots often contain more dirt than plant root systems. However, Smart Pots are soft-sided containers made out of a geo-textile type fabric and come in a wide variety of sizes. By cutting an “X” in the side of a Smart Pot, you can also insert other types of plants. Smart Pots allow you to maximize the surface area and volume of the pot. The geo-textile fabric also allows plants to develop healthier and stronger root systems. Through what is called air-root pruning, the Smart Pot fabric walls will cause roots to cluster horizontally, many more than what grows in hard-sided containers. These pots also provide superb drainage and help eliminate heat stress during hot summer months. The porous fabric keeps roots cool, allowing them to access air as heat and excess water escape through. When growing a beautiful herb garden, potting soil and mixes are also an important part of the equation. Different potting soils provide different types of drainage. Since Smart Pots already help maximize drainage, you can actually use a less expensive, heavier potting mix which holds more water. Durable Smart Pots can last through several grow cycles and also help you save money! Fill the pot with the potting mix first, and then decide where you want to cut your “X’s” in the walls. You can make about 6-8 “X’s” spaced around the circumference of the pot when staggering them up and down. However, be sure to keep the “X’s” within the top half of the pot, allowing space for the lowest growing plants’ roots. In the lower holes, consider planting the herbs that creep (prostrate) such as thyme or rosemary. Some tiny leaf basils also work well in the lower areas of the Smart Pot. Another idea for the walls of the pot is curly parsley, which makes a striking appearance. For the top of the pot, lean towards vertical growing plants such as mint, parsley, sage etc. Feel free to mix in any flowering garden annual for a little color! Use your creativity! Smart Pots will ensure that the results of your hard work are incredible! This pot will also help you establish a beautiful low maintenance herb garden that can be placed anywhere around your home. Soon you will have an abundance of fresh herbs to spice up any recipe!